Good day to you. If you follow this blog and my Twitter feed, you know me to be very conscious of health and nutrition when preparing meals. 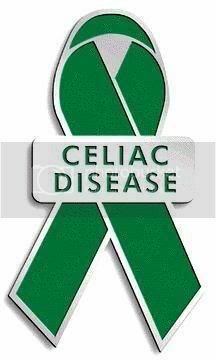 As a celiac, I feel it is most important to eat as healthy as I can due to the damage already done to my digestive system. With more nutrition packed into each meal, the more nutrients are absorbed and the healthier I am. When I’m in my kitchen, I like to cook from scratch with recipes whenever possible. This is helpful to me on a lot of levels. Foremost, I am in control of what foods go into my dishes. I’m also in control of the quality of those foods in regard to freshness. Additionally, I’m able to control the amount of preservatives, sodium, and artificial dyes and flavors in my dishes. When I cook from scratch, it enables me to have control over each ingredient in my dishes. I like having this much control as I feel more confident I will not be “glutened” in my own kitchen. Also, I’m not dependent on any manufacturer of pre-packaged food items in regard to the accuracy of their nutritional and allergen information. As you probably know in your own lives, I don’t think its possible to cook from scratch every day for every meal. Life is just not like that. That said, I’ve seen tips from others whereas they spend the majority of one day cooking for the week ahead and freezing food items in serving size portions. I’ve seen other tips whereas people will cook items for more than one dish – like chicken for stir-fry with vegetables one night and tacos with lettuce, tomatoes, and cheese the next. Or, make a salad with fresh greens and vegetables as a side dish for dinner, a lunch the next day, and dinner the next night – cooking from scratch is still being achieved. As I’ve stated in previous blog posts, I do not live in your household. You may already have ideas or practices in place to maximize cooking from scratch in the amount of time you have in your kitchen. If so, good for you! If not, please reference the Internet and Twitter for good ideas to maximize nutrition and health while cooking from scratch. Live well and be healthy. 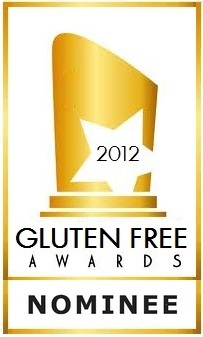 Research, educate, and advocate all celiac and gluten-free – and Irritable Bowel Syndrome (IBS) Awareness for April.